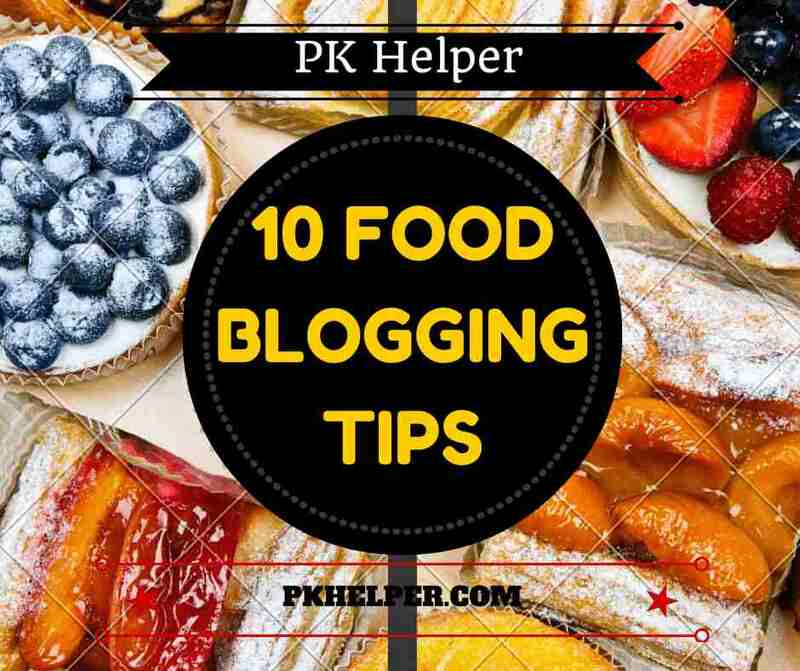 My name is Pkhelper and today am going to reveal the startup techniques on how to build a food blog, writing an accurate food blog post, names of best food submission directories/sites with links and SEO techniques specifically for food bloggers who want to a have a distinctive appearance in the online world of food blogging. Many bloggers might have this question in their mind and many are even unaware of this fact that Food blogging is not merely posting food pictures and videos. Its not just having informational pages related to meals and health. Food blogging is a vast category which falls under health. Food and health are two terms which are often used together because the purpose of food blog is ultimately health.If you want to make a Professional Food Website, then keep in mind that it should contain all categories related to your niche. I am listing below all the necessary steps which you should take to make your food website stand out in the wild. Whether you are using wordpress, blogger, joomla or any other platform for blogging, your blog must be looking Fresh and Healthy to make a good impression on viewer. Here are a few steps which you can take to make your blog look fresh and healthy. Find best theme for your blog. Try using different themes and keep which you think fits best for your blog. Make your site easy to navigate. Make sure that all important pages are easily accessible.I prefer using wordpress installed on a hosting for full control over your site with unlimited customizations. Never write on different niches other than food. Try to cover as much food related topics as possible. When you will cover all the topics under food and health, your audience will come back to you again and again because of the relevant food stuff on your site without wasting time on other websites. 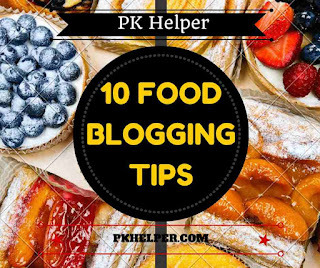 So keep your blog full of healthy content to let viewers find every article related to food on your site. This thing makes your audience Yours. Find question based websites and write articles on them. There are many websites on which people ask questions like quora and yahoo answers. Find Food related questions, then do a little research and start writing articles on them and leave your blog's link for convenience. Never forget to include at least 3 to 4 attractive healthy food images in your each post. Images are a great way to attract audience. You can use online tools like canva to create compelling thumbnails for your blog post. Do Images SEO: Images SEO is not a difficult task and especially in food blogging, it has great importance. So use "alt tags" in your images and give it a proper title by editing its properties. Sometimes users come to your site just by clicking on images. You can search on google how to add alt tags in images. Domain is the name of your website like Pkhelper.com is my domain name. After having great content on your blog, its time to buy a healthy Food Domain. Food domain means a domain which could be reflecting its content in its name. For Example: Foodgawker is one of the top foods website. It reflects its content in its name. We can assume just by its name that its related to food.So buy a relevant domain. SEO is called search engine optimization but SEO for food blogs is a little bit different than the normal SEO. You will have to do SEO related to your website. I have given links of some sites which allow submission of food blogs at the end of this article. Always create back links from sites which are related to Food. Go to forums and find discussions related to food and write a helpful answer with a small foot note of your blog post. Do SEO of your all posts one by one at beginning. Once your blog ranks in search engines, there would be no more SEO needed, people will start visiting your site regularly if you win their trust. Social Bookmarking: Do social bookmarking of your blog. Create Facebook, Twitter, Reddit, Pinterest, StumbleUpon and other top social sites profiles with same name as your blog to make your blog a Brand. This is a proven method that actually works if you keep all the social profiles up to date. Always try to write and convey best from your side. Keep in mind, give audience what they will never find else where on the Internet. Always try to give your best to your audience. Always write what is right. Never give your audience any wrong information. Before writing post, do a quick but fruitful research on your topic and then after having enough knowledge about your specific topic, write perfect and right. So you will never lose your audience. The most important thing for every kind of blogger is to be consistent whether you are running a food blog, or a tech blog, you should be consistent. Work only on food and health but leave no stone unturned in your way. Post consistently. Post regularly. This is the best way to build active fan base which turns out to be the most important ranking factor in terms of SEO. Its a bitter truth that many bloggers at their early stage lose hope and fails in blogging carrier. As i told before, blogging is a slow process but with long term benefits. It takes at least 1 year for normal blogger to start earning real money from blog with which you can easily run a one person's home.So never lose hope and keep posting the relevant content. At the end, submit your site to these recipe submission directories. It will help search engines easily find your blog even if it fails during webmaster submission.Also it will increase number of back links to your blog which will help in better SEO of your blog. Don't Forget 2 Plus 1 us!